Set sail on the Death Star and take a trip to a galaxy far, far away with the Mens Classic Deluxe Stormtrooper Costume. Defending Darth Vader is not an easy feat, but when you have this costume on, you can do it in style. 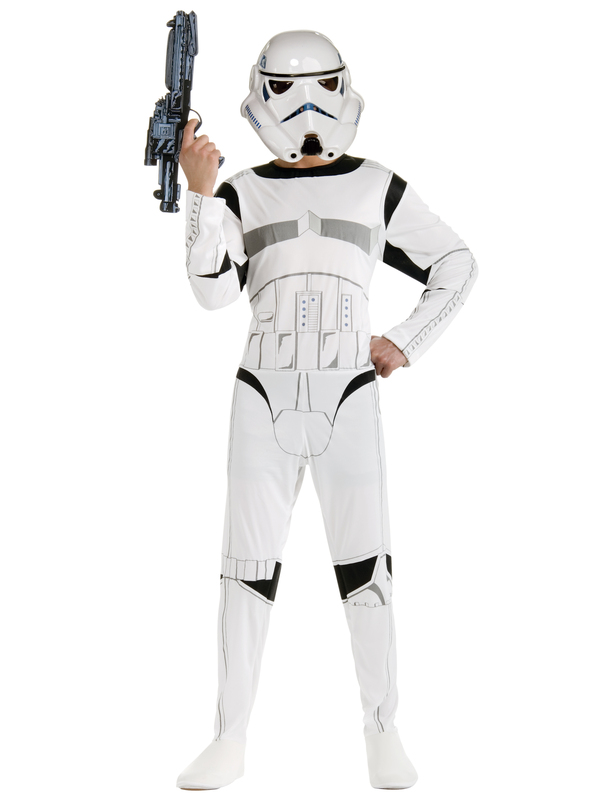 This Stormtrooper costume is ideal for comfort as it comes in jumpsuit form with shoe covers so you can be on the dark side with no discomfort. The mask completes this costume so you look like you went from the screen to real life. Gear up for the next Star Wars movie in style with the Mens Classic Deluxe Stormtrooper Costume.